View basket “CORONA 6ft Dining Table + 6 chairs H75cm x D92cm x W182cm” has been added to your basket. 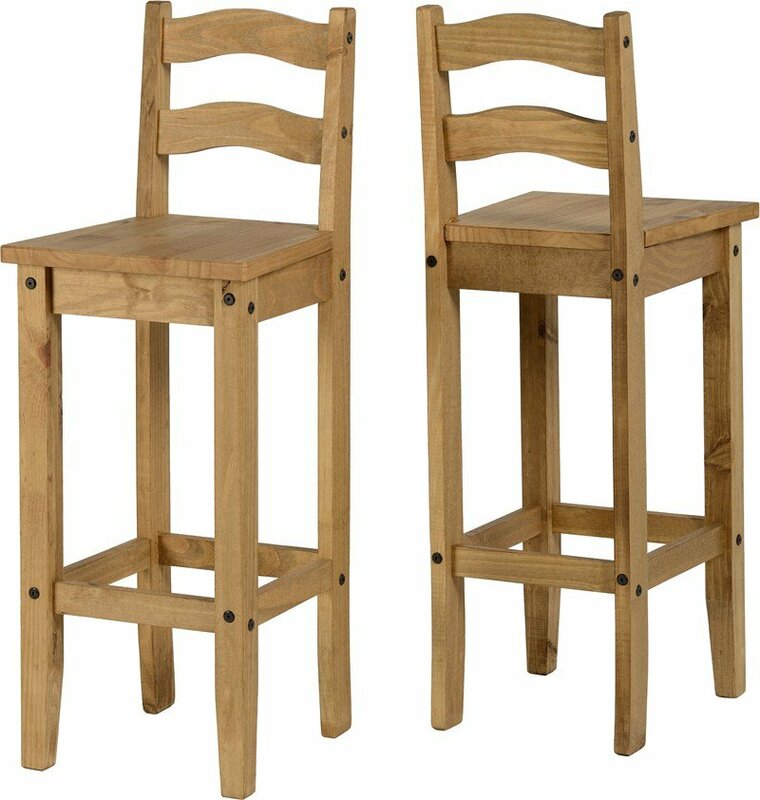 This stunning new product with a modern stylish design, this stylish corona bar chair has been solidly constructed from pine; a timber that finishes well and gives a distinctive style and a build quality that is second to none. The antique wax finish gives the wood a rustic distressed appearance which adds to its unique design. It features attractively designed pine legs. The chair benefit from supports mounted under the chair which add to their strength and stability. The Corona bar chair can easily fit underneath a work surface or breakfast bar or can be placed against the wall when not in use for space saving. Two chairs are supplied and is delivered to you flat packed for easy home self-assembly. All you need to do is wipe your chair over with a duster or dry cloth to maintain that dust free surface. Use a damp cloth for tougher marks before resorting to chemical cleaners.